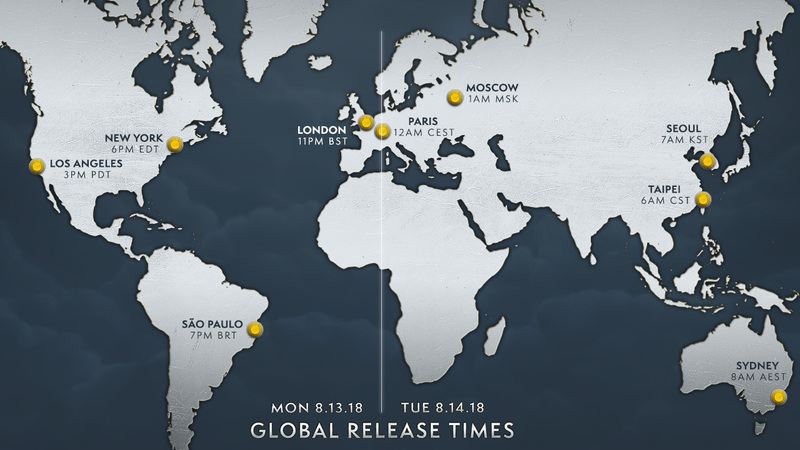 For the first time in World of Warcraft® history, the next expansion—Battle for Azeroth™—will launch in the Americas, Europe, Taiwan, Korea, and Australia/New Zealand at the same time. Wherever you live and whatever faction you fight for, you can be part of one globally unified front as the battle for Azeroth begins. Check the details below for the exact time you can begin logging in to explore Kul Tiras—for the Alliance!— or Zandalar—for the Horde!—in World of Warcraft’s upcoming expansion. See you in Azeroth, friends. It’s almost here now, the new World of Warcraft expansion, Legion. On 30/08/2016 we’ll venture into Broken Isles, and will start working on gearing up for the first raid instance, The Emerald Nightmare. As always at the start of an expansion, we’re actively looking for new players, to strengthen our roster and replace those who might not be joining us on this new adventure. We’re currently looking for most classes, and you can apply to join Pulse by clicking on the big “Apply Here” button to the right. Well that didn’t take long! Pulse with a few raid days managed to overpass the last obstacle of the Hellfire Citadel Mythic difficulty raid, Archimonde. Congratulations to all. After a number of runs and obstacles remediation, Pulse has finally passed the manno-exam and looks forward to the next and final boss of the Hellfire Citadel Mythic difficulty raid. Congratulations to all and good luck to Archimonde! It’s almost here now, the new World of Warcraft expansion, Warlords of Draenor. On 13/11/2014 we’ll venture into Draenor, and will start working on gearing up for the first raid instance, Highmaul.